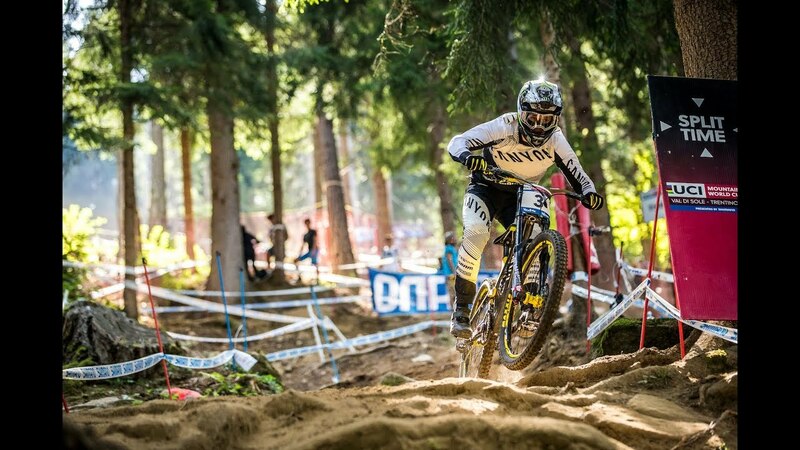 LOURDES - WC#1 Official team video after the first World Cup in Lourdes for the Canyon Factory Racing and the second place of Mark Wallace and the 68th for Troy Brosnan because of the storm. Next stop >>> Fort William for the second round ! In the homeland of Cédric the couple ravanel takes you for a ride around the Mt Blanc. Discover the 'spot' in the alps, the summit of the mountain pastures to the steep rocks of Fiz chain through the wood shaped by the locals riders. Let you transport on the fast rhythm of the Commencal Meta AM V4 before the EWS in Spain. Bucheron Award Les Gets - Mieux vaut repérer la piste avant!